PLUG-N-PLAY A 6-in-1 compact USB-C docking station like no other. No driver needed, plug in and you’re ready to go. 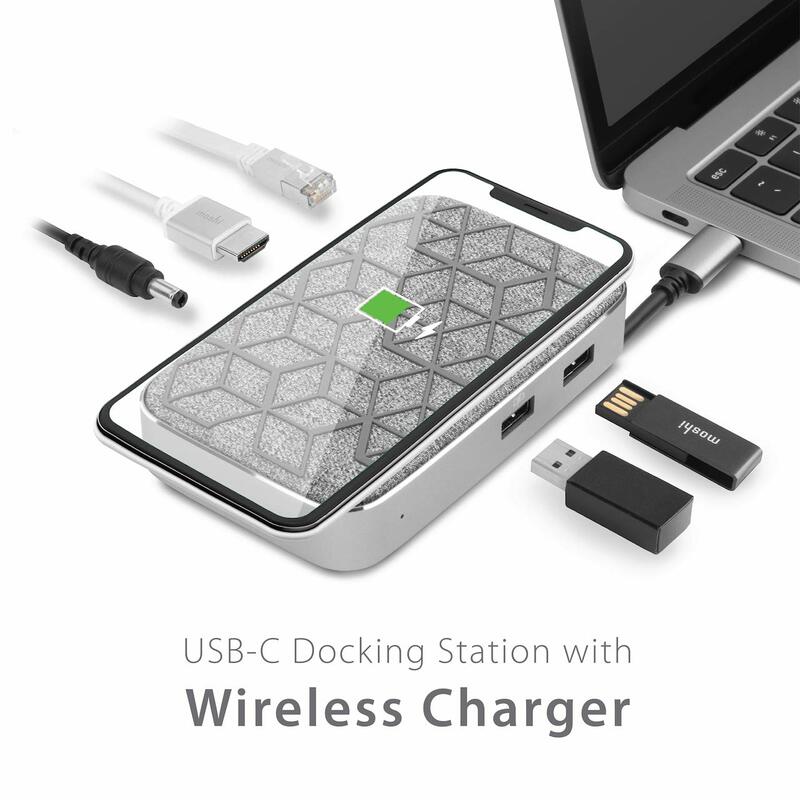 WIRELESS CHARGING UP TO 15W Qi EPP certified wireless charging which makes charging safer. Enables charging through cases up to 5 mm thick. Supports Apple 7.5 W and Samsung 10 W wireless fast charging. 4K HDMI ＆1000Mbps HIGH-SPEED ETHERNET A HDMI port for adding an external display, AV receivers and projectors. (4K@30Hz, 1080p@60Hz). Gigabit Ethernet port for wired data transfer up to 1000 Mbps. USB-C LAPTOP CHARGING UP TO 60W Full USB PD function for fast-charging USB-C laptops. Compatible with thunderbolt 3. WORLD-CLASS CERTIFICATION Awarded by 2019 CES Innovative Awards- computer peripherals category. CE and FCC certified. Enjoy a 3-year promise on all of our products.